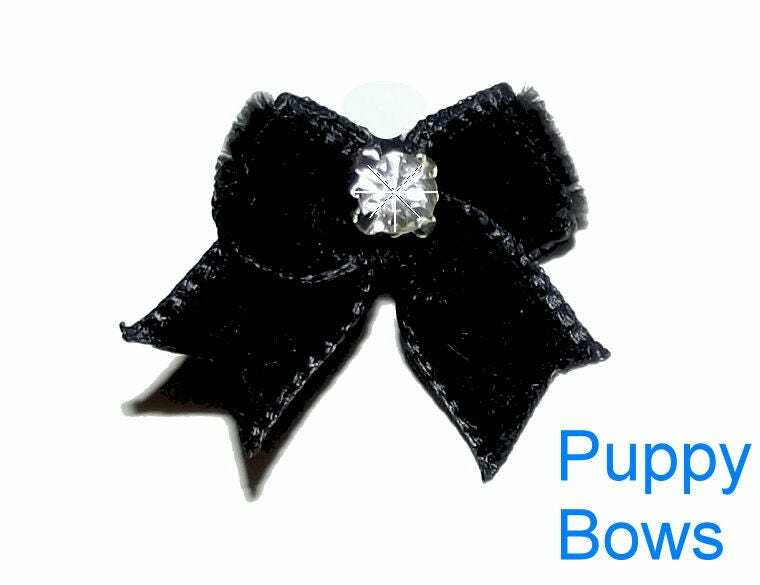 Wee tiny velvet pairs measure about 3/4", possibly slightly less made with 3/8" wide ribbon or about 1" made from 5/8" ribbon and will come with a standard rhinestone center. This item comes standard with two latex bands attached. 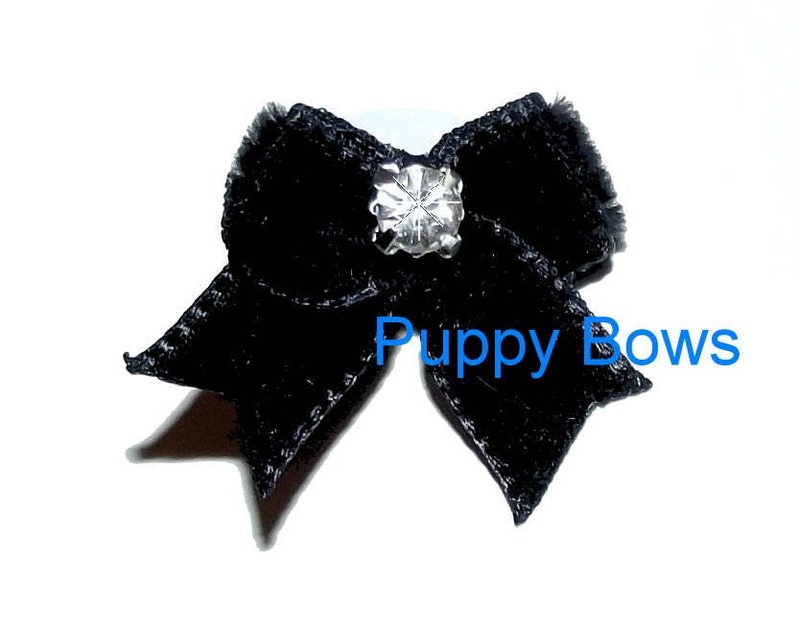 Each order contains TWO bows.